© 2009-2016 Manas Khan / ArtlessBeauty.Net. All rights reserved. 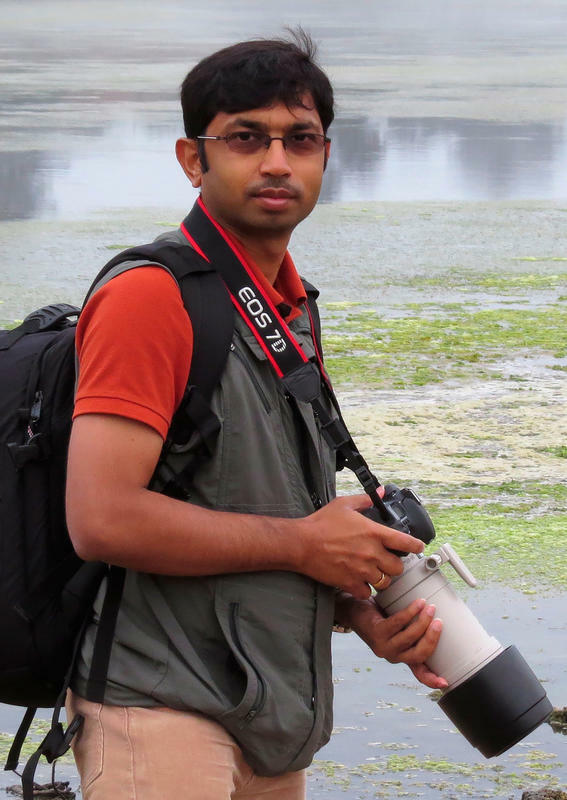 "Hope my photographs create a delicate balance between art and awareness"
Manas is an avid nature lover and photographer who loves to capture the uncontrived beauty of nature. He strives to portray his vision to spread an awareness of preserving the nature in its pristine form. Though his interest spans everything in the realm of nature photography, Manas is most fascinated by birds in flight photography. While his knowledge and skill with photography converge to master the image he visualizes, his immense love and admiration for nature enrich each frame he makes by adding unique perspective to it. By profession, Manas is a physicist, currently pursuing research in the University of California - Los Angeles. Prior to this, he was a graduate student in Indian Institute of Science, Bangalore, India. While he was honing his skills on technicalities with optical tweezers and table optics in the physics lab, it was in this lush green campus where he found his creative pursuit for photography. Sharing his vision with three of his friends, Manas founded the Bangalore Photography Club in 2006. His photographs are frequently exhibited in FIAP (The International Federation of Photographic Art) salons worldwide. As recognition FIAP awarded him with the Artiste - FIAP in 2013. He is also a member of the 'Federation of Indian Photography'.